First, I have a Broker's License. In Virginia this means 300% more real estate education than a regular agent. Not general courses, but rather a multitude of things specific to real estate. Second, this is my company, so you know I care that things are done right. Third, I was a building contractor for years, so I understand construction inside-out, which helps me to help you, whether you're a buyer or a seller. Buying or selling a home usually involves life savings and having to trust strangers to help. This could be an unhappy thought, but not if you work with me, because I will treat your investment with the same concern as if I was at risk. I take my obligation to watch out for my clients very seriously. In short, I'm a true professional that really knows his field. Someone who can, and will, look out for you. Please take a few minutes to explore the links herein (top and bottom of page). You'll enjoy them. 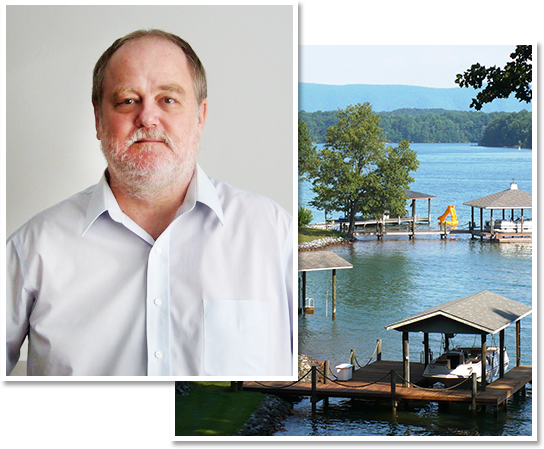 In addition to being able to search the entire MLS, plus terrific buyer's and seller's advice, my general interest content makes this the best Smith Mountain Lake site on the internet! Lastly, feel free to call me any time. It would be my pleasure to assist you!